AUGUSTA, Ga. (July 5, 3018) – Two students at the Medical College of Georgia at Augusta University have been selected to participate in the National Institutes of Health's Medical Research Scholars Program. Third-year students Saadia Hasan and Deeti Pithadia are two of only 37 students in the nation chosen for the research training program that allows medical, dental and veterinary students to pause their university studies to live on the intramural campus of NIH in Bethesda, Maryland, and conduct basic, clinical or translational research. The accepted scholars begin their fellowships in July/August. "The NIH Medical Research Scholars Program attracts the brightest talent from across the country. These scholars are the future leaders in American medicine," says Dr. Thomas R. Burklow, director of the MRSP. Pithadia, of Columbus, Georgia, earned her undergraduate degree from Georgia Tech before coming to MCG in 2015. 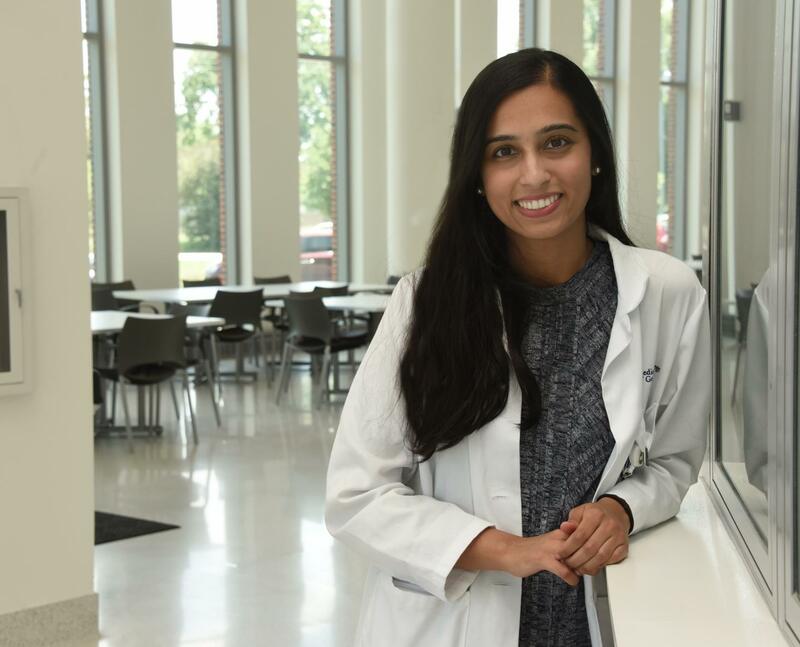 During the summer between her first and second years of medical school, she worked as a summer research assistant at the Joslin Diabetes Center in Boston as part of MCG's Medical Scholars Program. Her experiences there piqued her curiosity about a career as a physician scientist, she says. During her time at the NIH, she hopes to conduct research in type 1 diabetes, dermatology or reproductive endocrinology. Hasan, who came to MCG from the University of California, Los Angeles, studies at the Augusta University/University of Georgia Medical Partnership in Athens. During her undergraduate studies she conducted basic science work in learning and memory and hopes to pursue translational research in dementia or pain management. Hasan hopes to have a career as a physician scientist who, as a family medicine physician, has a lab and clinic focused on aging and the accompanying neurological problems. The MRSP received over 115 applications during the 2018-19 submission cycle. The scholars will receive mentored training and will conduct research in areas that match their personal interests and research goals. The training experience forms the core of the program and allows these future physician scientists and medical researchers to carry out research across the full spectrum of science in the interest of improving public health. The scholars work with an adviser who provides guidance on creating a career development plan and on selecting an NIH research mentor. Mentors are fulltime NIH investigators with basic, clinical or translational research programs. Over the course of the academic year, MRSP scholars participate in courses, journal club seminars, a structured lecture series and clinical teaching rounds. They also present their research to the NIH community and at professional conferences. The MRSP is supported by the NIH and other partners via contributions to the Foundation for the National Institutes of Health.